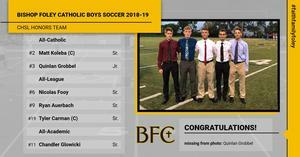 Boys Soccer players were honored last night in between the CHSL championship games for their accomplishments this season. The potent offensive duo of Matt Koleba and Quinlan Grobbel earned All-Catholic honors. Midfielder Ryan Auerbach earned All-League honors along with the defensive duo of Nicolas Fooy and Tyler Carman who have been stellar against opposing teams best offensive players. Chandler Glowicki earned All-Academic honors for his work on the field and in the classroom. 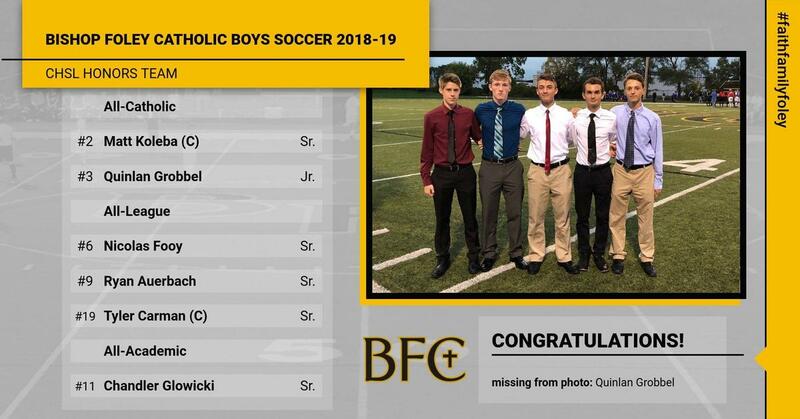 Congratulations to all of these young men for their hard work and leadership.